Junk food addicts, take note! People who consume more fast food are exposed to higher levels of potentially harmful chemicals known as phthalates, a new study has warned. The use of chemicals and additives in processed food and its packaging material has become an area of growing concern. A couple of months ago, the US FDA banned perflourinated chemicals that are usually used in pizza box liners, microwavable popcorn bags, and sandwich wrappers and have been linked with cancer and digestive problems. But there is still a wide range of toxic chemicals out there being used everyday in factories to produce better looking, long-lasting and cheap packaging materials. Phthalates belong to a class of industrial chemicals used to make food packaging materials, tubing for dairy products, and other items used in the production of fast food. Other research suggests these chemicals can leach out of plastic food packaging and can contaminate highly processed food. “People who ate the most fast food had phthalate levels that were as much as 40 per cent higher. Our findings raise concerns because phthalates have been linked to a number of serious health problems in children and adults,” said Ami Zota from George Washington University in the US. The findings were published in the journal Environmental Health Perspectives. Researchers looked at data on 8,877 participants who had answered detailed questions about their diet in the past 24 hours, including consumption of fast food. These participants also had provided researchers with a urinary sample that could be tested for the breakdown products of two specific phthalates – DEHP and DiNP. They found that the more fast food participants in the study ate, the higher was the exposure to phthalates. 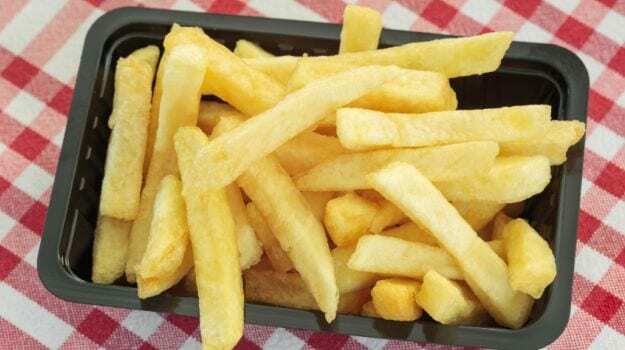 People in the study with the highest consumption of fast food had 23.8 per cent higher levels of the breakdown product for DEHP in their urine sample. Those same fast food lovers had nearly 40 per cent higher levels of DiNP metabolites in their urine compared to people who reported no fast food in the 24 hours prior to the testing, researchers said They also discovered that grain and meat items were the most significant contributors to phthalate exposure. According to Zota, the grain category contained a wide variety of items including bread, cake, pizza, burritos, rice dishes and noodles. She also noted that other studies have also identified grains as an important source of exposure to these potentially harmful chemicals. Researchers also looked for exposure to another chemical found in plastic food packaging- Bisphenol A (BPA). They believe that exposure to BPA can lead to health and behaviour problems, especially for young children. This study found no association between totalfast food intake and BPA. However, researchers found that people who ate fast food meat products had higher levels of BPA than people who reported no fast food consumption. The Food & Drug Administration (FDA) requires that plastics used in food packaging should be of greater purity than plastics used for other purposes. This type is known as the food grade plastic. According to Indian food safety guidelines, food grade plastic where leaching of chemicals is less than 60ppm is considered safe. In the United States, the permissible limit is lower – 45 ppm. But the question that arises here is that why should we expose ourselves to any amount of chemicals being leached into our food?